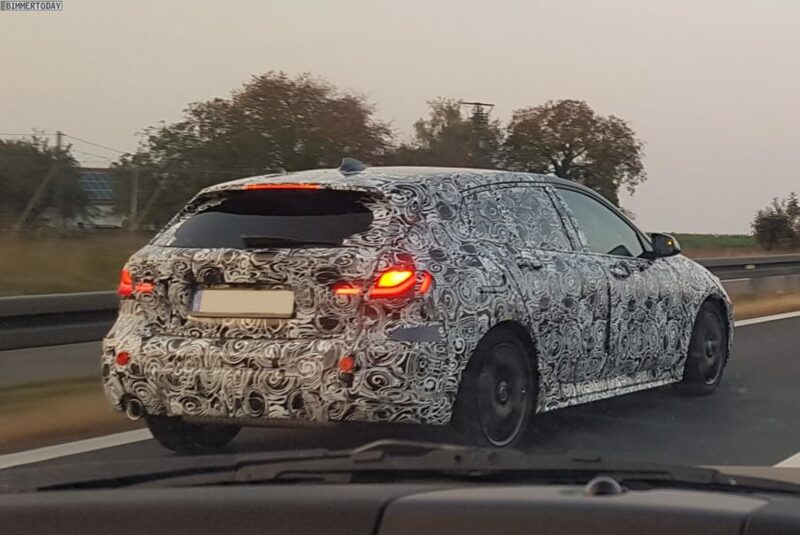 Seen driving around the streets of Germany (I think, the license plate is blurred so I can’t be certain), the upcoming BMW 1 Series looks pretty much like a generic front-wheel drive hatchback. Sure, it has twin-oval (more like rectangle, now) headlights, Kindey grilles and a Hofmeister Kink, but aside from those BMW-specific touches, this design could be from KIA. Look at it in profile and there’s not a whiff of Bavaria. Admittedly, this might be because of the camouflage. Maybe the camo is hiding body lines and shapes that make it distinct from the other premium hatches on the market. While that’s not too likely, I’m not going to rule that possibility out. From what we can see, though, it’s not looking great for current 1 Series owners who enjoy the unique styling of their car. Having said all of that, it doesn’t seem bad looking. It looks fine and will fit right in with cars like the Mercedes-Benz A-Class. It’s just a far cry from the current car’s unique and distinct styling. Under the skin, the new 1 Series will be based on BMW’s new FAAR front-wheel drive architecture which, despite the claims of many enthusiasts, is fine. BMW has proven with the X2 that it knows how to make front-wheel drive-based chassis fun. Plus, it owns a little brand called MINI, I don’t know if you’ve heard of it, and it seems to make some pretty good front-drive cars.